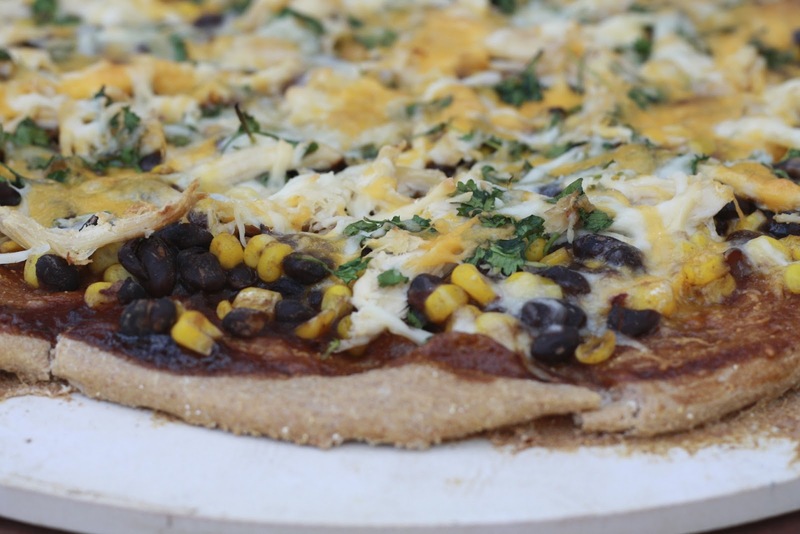 For years, I couldn't stomach the thought of BBQ chicken pizza. After an unfortunate incident on a trip to Washington D.C. about ten years ago, BBQ chicken pizza and Krispy Kreme donuts were added to the (rather short) list of "Foods Natalie Refuses to Eat". Although I'm still avoiding Krispy Kreme donuts, I finally gave the pizza another try recently. The last time I went to book club, Dewey's, one of my favorite places in St. Louis to get pizza, was on the menu and the Southwest BBQ Chicken pizza looked too good to resist! Now that BBQ Chicken Pizza is back on the "Natalie-friendly" foods list, I was eager to make it in my own kitchen. Although mine was not the exact same as Dewey's (I forgot to add the roasted red peppers and I have yet to discover the secret to Dewey's puffy, chewy crust! ), this got major approval in our household. This came together so easily, I just assembled my ingredients and scattered them atop a Trader Joe's whole wheat pizza crust. Twenty minutes later, we were digging in! BBQ Chicken Pizza--yay or nay for you?! 1. Preheat oven to 400F. Use a rolling pin to stretch dough out and place on a baking sheet or heated pizza stone sprinkled with cornmeal. 2. Spread BBQ sauce over crust. 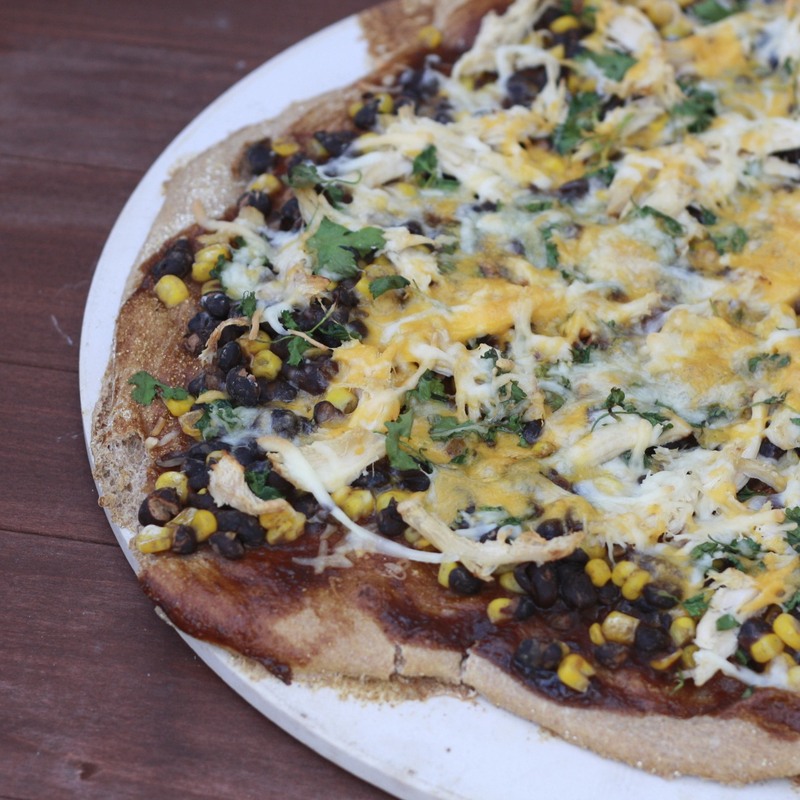 Top with beans, corn, cilantro, chicken, and cheese. Bake for 15-20 minutes, until crust is cooked through and cheese has melted.